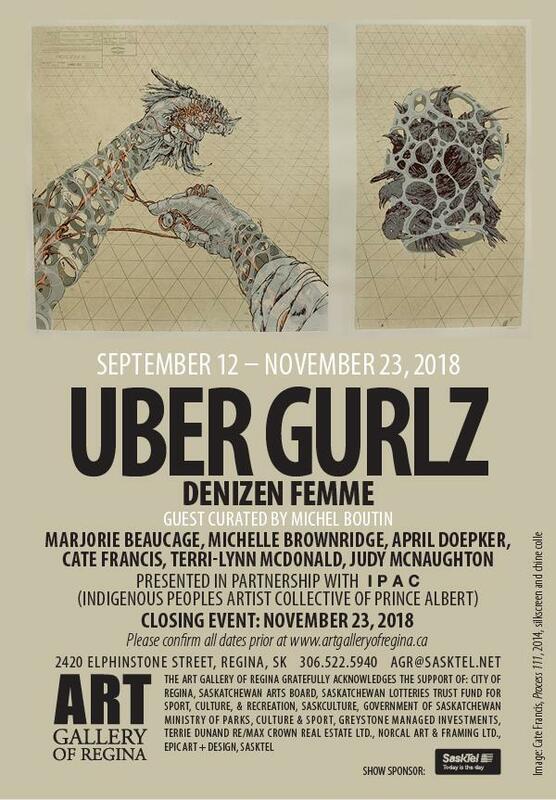 In just a few weeks, I will be performing a new work in progress at the Art Gallery of Regina as part of the UBER GURLZ: Denizen Femme exhibition curated by Michel Boutin for the Indigenous Peoples Artist Collective. 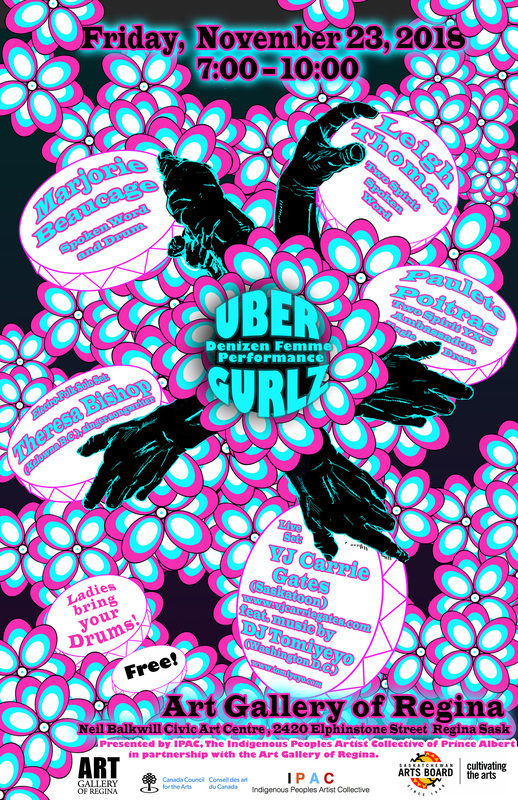 This is the second installment of the UBER GURLZ series and I performed at the first one a few years ago in Prince Albert, so I am extra happy that they have invited me to participate again. The work I will be performing is a live video mix that includes a soundtrack DJ mix by C h ė v i o t and investigates contradictions in the representation of femininity vs. the internal realities of self-identity. Beyond the artwork, the artists themselves are the intended focus of this exhibition. Emphasizing the life / art / work balance faced by many professional artists, Uber Gurlz: Denizen Femme represents six Saskatchewan artists whose practice and labour mesh. Additionally, these artists are motivated by a deep commitment to community. Denizens of the institutions and social structures we all must navigate; their work blurs the line between art and life. The careers, commitments and work of these artists exemplify the benefits of art, culture and diversity on society. The exhibition title is a tribute to a group of artists in Prince Albert, backed by IPAC, which focused on creative development. Beginning as an open studio project, the group founded in 2006 in response to a need in their local community for a safe studio workspace for young women and LGBTQ youth. Inspired by feminist activist artists the Guerrilla Girls and the Riot Grrrl movement of the 1990s the core members took the name Uber Gurlz. Uber Gurlz continues, encouraging a multi-cultural membership which leads from an urban Indigenous perspective.